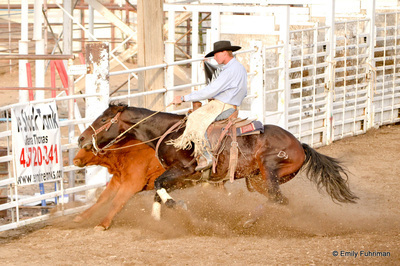 What happens when the horse training market "goes south" and the phone stops ringing? 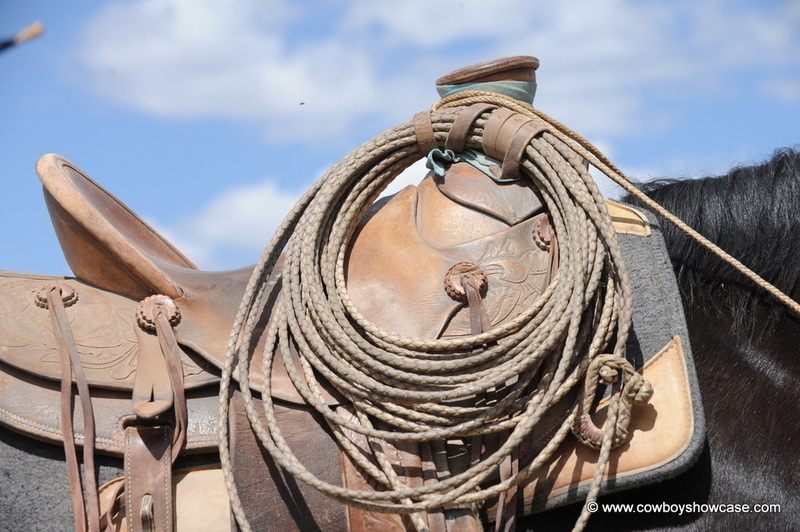 There aren't many calls from people who want you to start their colts or put a few rides on their new rope horse. What do you do? The Fuhrimans solved this trainer's dilemma by going to work on a cow outfit and taking in outside horses to ride. When you first meet Trevor and Emily you may think they just stepped off a western movie set. Do not let their good looks fool you. 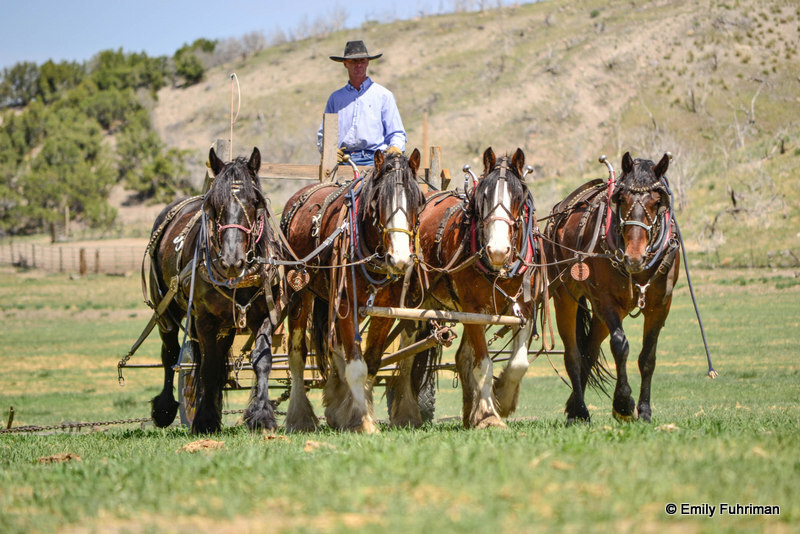 These folks are "hands" with saddle horses, ropes, cows and workhorse teams. 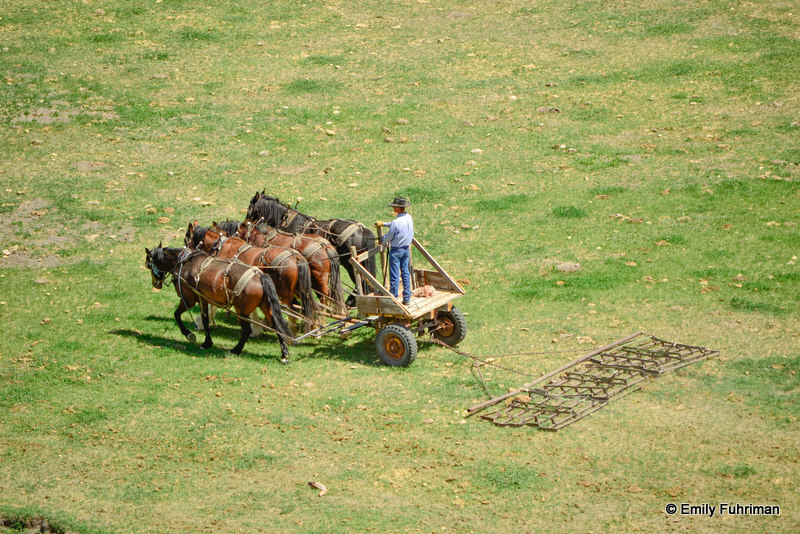 They don't use four-wheelers to work cattle. Their life style is "old school." 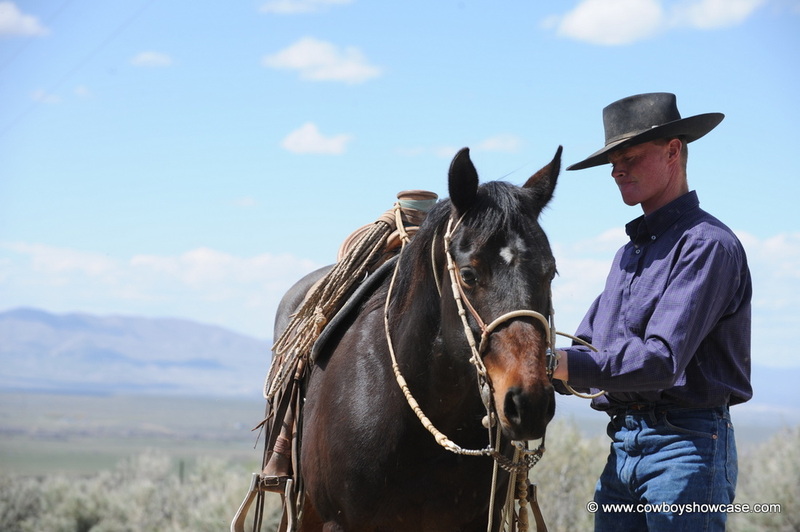 Trevor discussed his early days in the buckaroo and horse training world. Trevor said, "When I got out of high school at 17, all I wanted to do was buckaroo. So I went to work riding for the Dragging Y in Montana then hired on at Roaring Springs Ranch in Oregon. 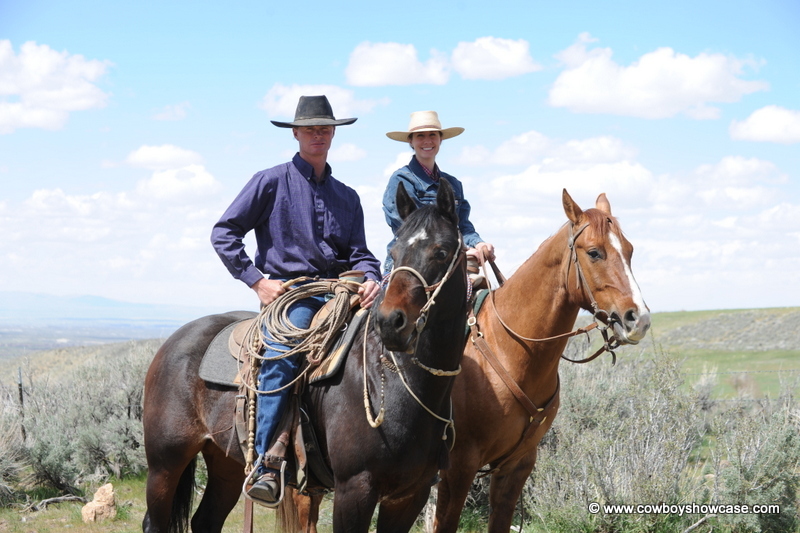 I knew being a buckaroo and riding ranch horses wasn’t going to improve my horsemanship so I rolled up and came back to Idaho on my Grandpa's place. I got to hanging around a saddle maker/ horseman Larry Christensen. Larry’s horses inspired me to go farther with my horsemanship. "In the summer I would go back to Idaho and train horses for the public. My main deal at that time was starting colts for people, 30 days or 60 days, then on to the next colt. Then I started showing reined cow horses at events around the county. I was very inexperienced at the time in the show pen. I would get nervous and transmit that feeling down to my horse and then both of us would get in trouble. I was still day working around the country on ranches but soon found out that buckarooing and showing your horse at the same time does not work. Showing is very demanding and you need to be focused in this one event to succeed. Emily describes their ranch job, "We live on a ranch out of Grouse Creek, Utah. It's in the upper most northwest corner of Utah. It is an hour every direction from cell service and paved roads. Our nearest neighbor is over the border in Nevada about 8 miles away. We live so far out that they just barely got a phone line and internet ran in here last year. We run a cow/calf operation. 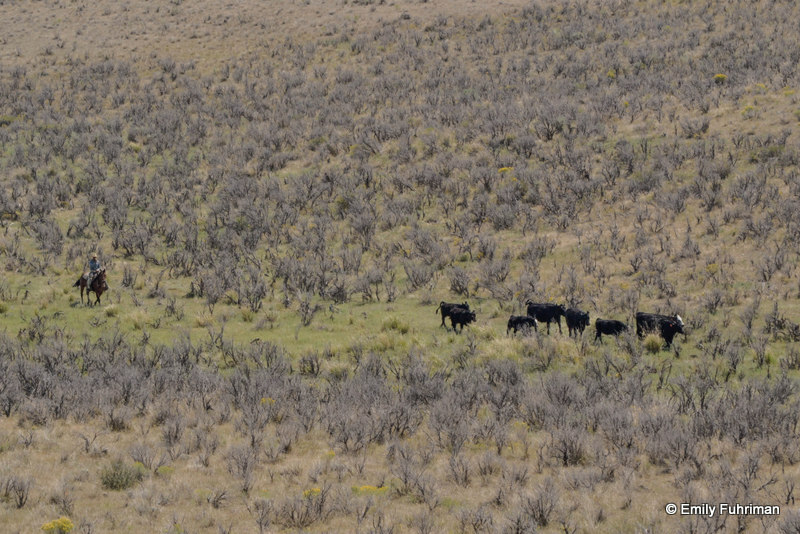 In summer and into the fall our cattle run on private and BLM ground in the mountains near Grouse Creek and during the late fall and through the winter, they winter out on the desert in Pilot Valley near Montello, Nevada. 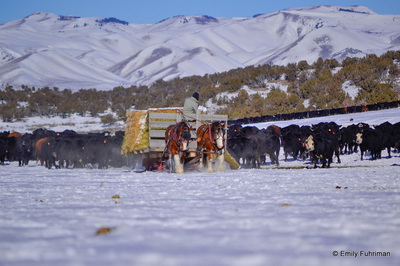 So our job is brand, doctor, move bulls around, gather cattle, feed in the winter and trail cows to different feed areas, fence, and so on. 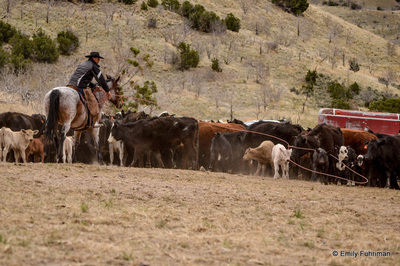 "A typical spring day for us would be gathering pairs off the spring pasture, branding calves and turning them out on the summer range. 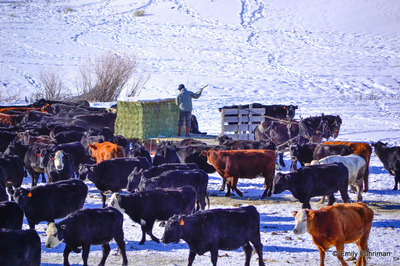 Summer days we are salting, pushing cattle out of one area into another with fresh feed. 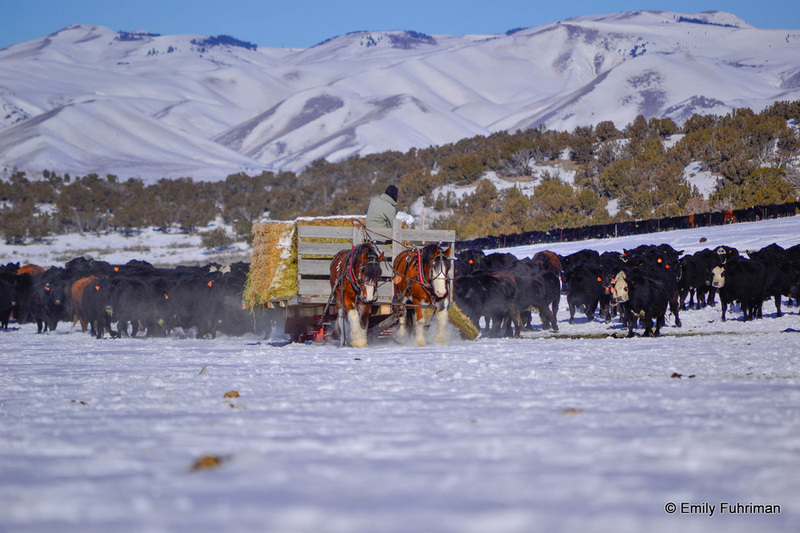 In the fall we gather the summer range, weaning and shipping calves, preging and culling cows then trailing cows to the winter range in Nevada. Normally during the winter all of our cows are turned out on a winter range and calve out there. This past winter, because we had such a dry summer last year, only 500 head went to the winter range and we kept about 700 in Grouse Creek to feed hay to through the winter. This worked in our favor because we have a couple workhorse teams. So we hook a wagon or sleigh everyday and feed our cows by hand and then saddle a horse to ride through and check the new calves. We take in a few outside horses to ride for people or ourselves. 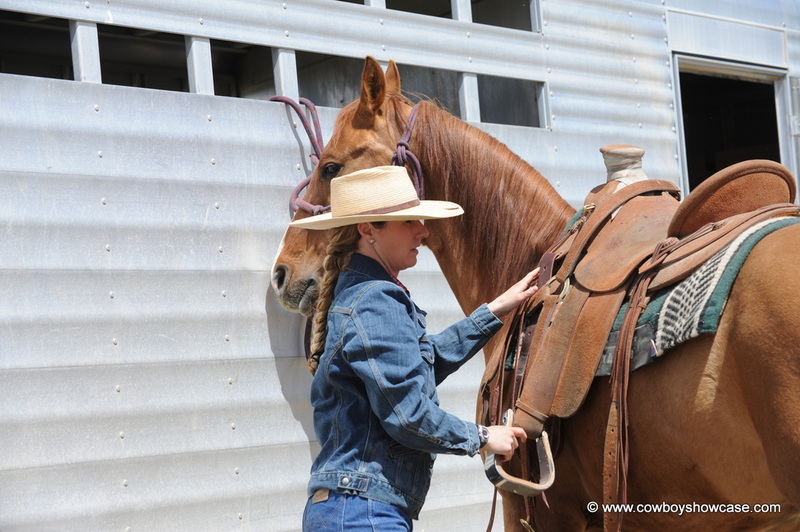 "In 2004 Emily went to work for me starting and riding colts, loping show horses, cleaning stalls, feeding etc, Soon she was showing cow horses in the amateur classes. I could not have done what I did had it not been for Emily's help. 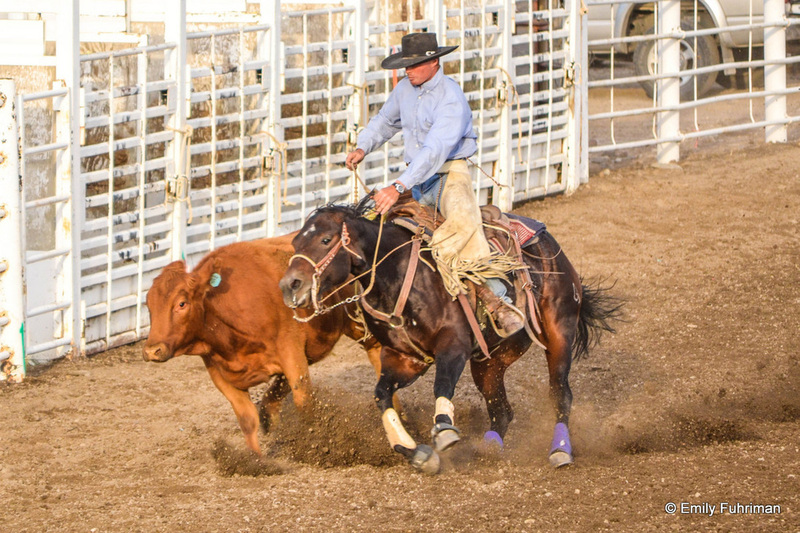 During the next couple of years I was training for the public, showing, picking up at rodeos in Idaho and going to stock saddle bronco ridings at ranch hand rodeos. 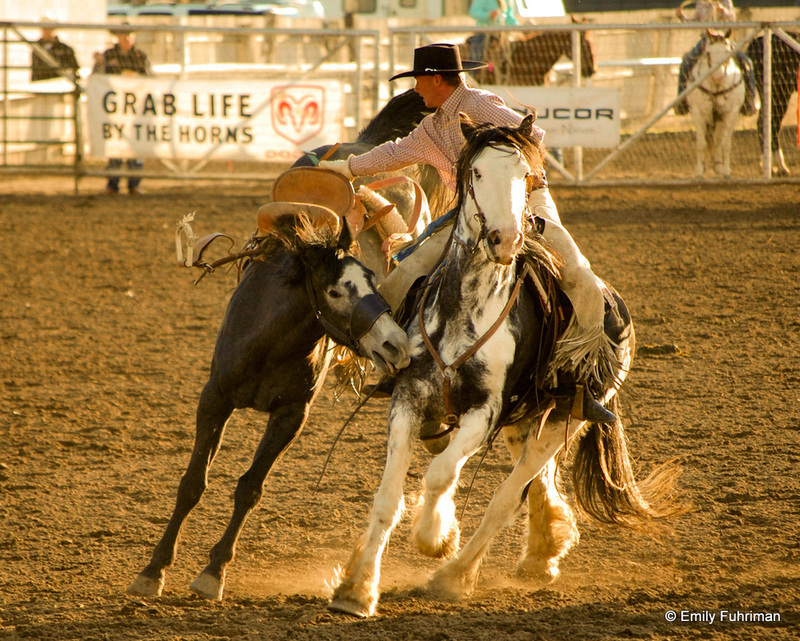 In 2005 I won the Silver State Stampede Old West Bronc Riding in Elko, Nevada. Emily and I were married in 2006. That winter we took a job with Arlo Curtis out of Congress, Arizona. 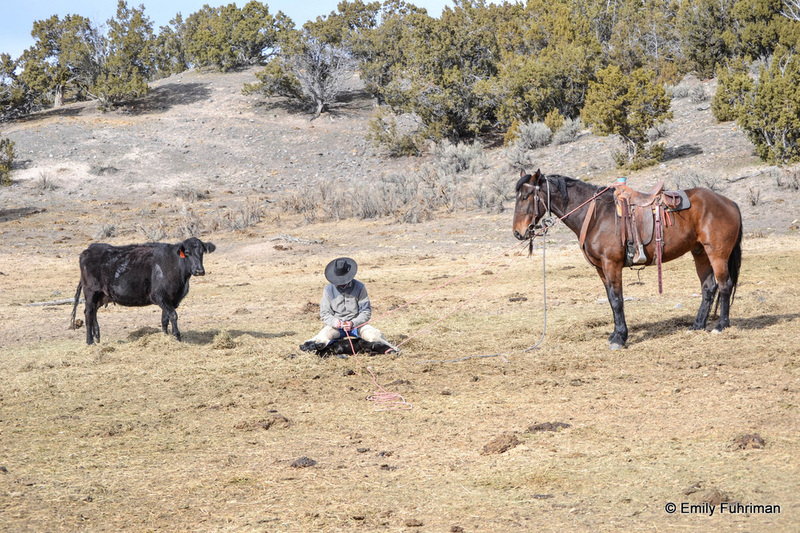 Arlo wanted us to work on his team roping horses. We spent two winters in Arizona. We also went back and forth to California riding Teddy Robinson's colts when he needed us. 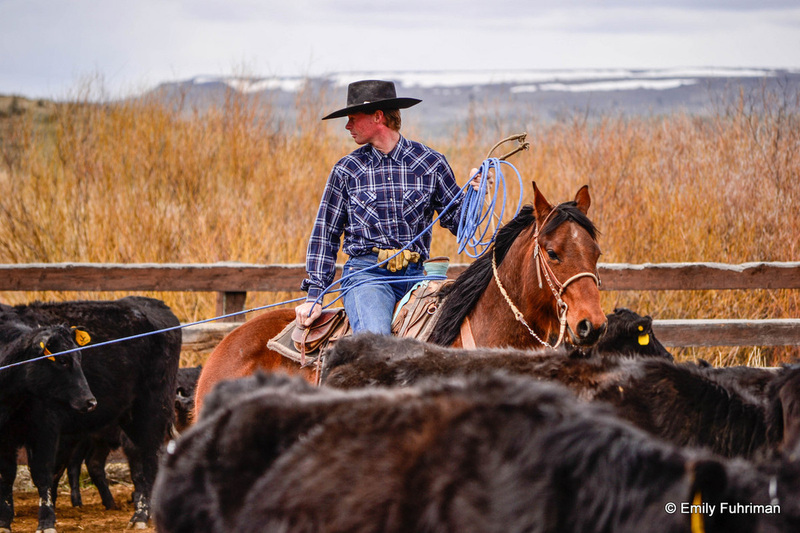 When the horse training business started to slow down, about the time they closed the horse slaughter plants around the country, I started day working on ranches and doing anything else I could do to survive. I decided that I was burnt out in the horse training and showing world, riding around in a little arena and needed to get back "outside" with some sagebrush. 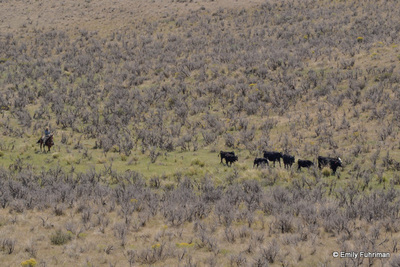 One day the Simplot ranch job out of Grouse Creek, Utah came open and we found out about it and applied. They hired us and we have been here for the past two years. 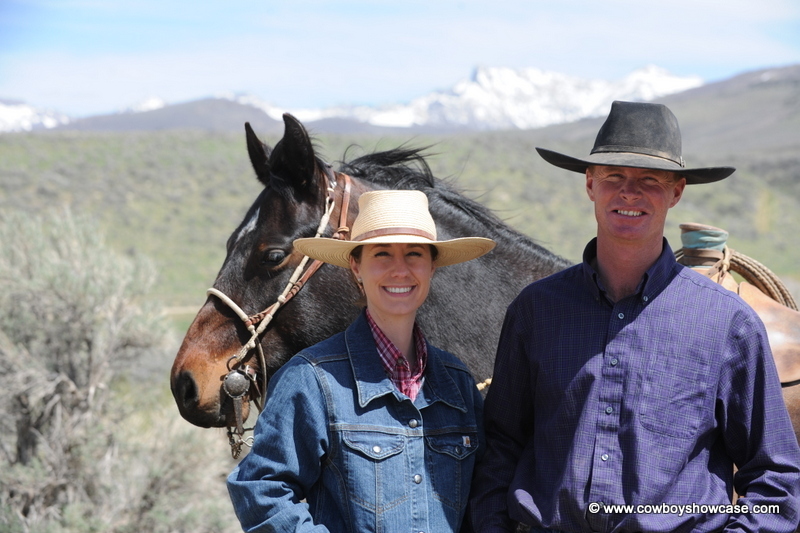 We are horseback most every day and use our teams to feed in the winter." 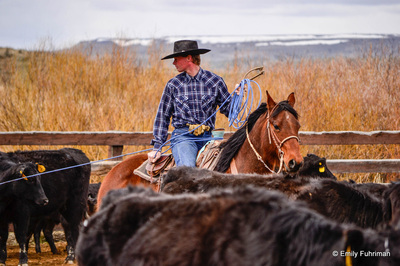 "One of the things that people don't understand about working and living on a ranch is that, yes we get to ride our horses everyday and live in the mountains, but it's a hard life. It doesn't pay much, we live a long ways out, you can't just run to the store for a gallon of milk, summers are hot, winters are cold, you may not see another person for a week. If you run your truck off the road in the winter, there is a good chance another truck won't come by till the next day. Sometimes you have to be here everyday for weeks or months to take care of the animals that you are responsible for. Not many vacations. Sometimes ranch jobs are short term. You never know when you have to pack up the whole house the next day and move." "However, this ranch job fits us," Trevor said. "This is a great outfit to work for and we have a boss that is good to us. We are very lucky to have found this great job that allows us to work together, as we are both on the payroll. 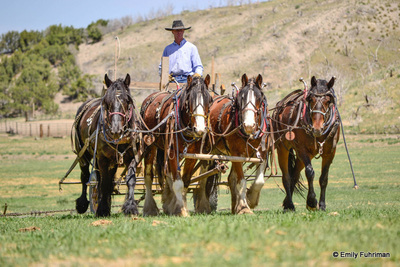 We use our personal saddle horses/work teams on the ranch. 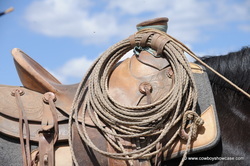 Getting to be horseback everyday has made our own string of horses really solid. We usually sell a couple of our best horses to the public every year because of it. "Our favorite part about the lifestyle we have is getting to work together everyday, living in an area of few people and no traffic. We are able to make a living horseback. We can still train a few outside horses and horses to sell. In the summer we get time to show our horses and pick up at rodeos. We are very lucky and neither one of us could ever imagine doing anything different."